If you’re looking for a big resort in the U.S. Virgin Islands, you’ll want to consider a vacation in St. Thomas. St. John offers very little in the way of resorts (same goes for St. Croix), and many of the island’s hotels and B&Bs — even those that welcome families — largely cater to couples. Many families opt to rent vacation homes instead. The following resorts, however, might be a good fit for you and your kids. 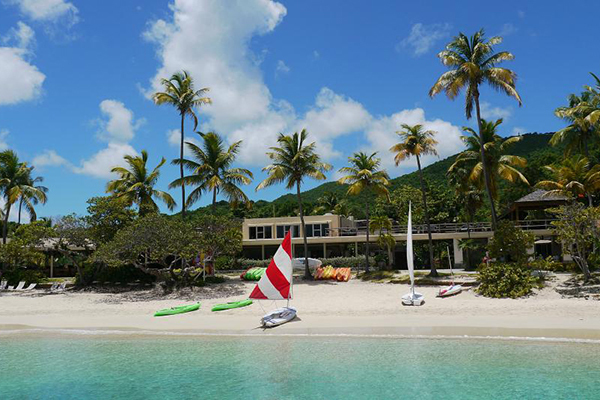 The Westin St. John Resort is situated on 47 acres of land and fronts a marina, yet it never feels too crowded. Families enjoy a beautiful, oceanfront pool, onsite dining (plus grocery delivery upon request), and the Westin Family Kids Club, offered in half-, full-day and evening sessions. Guestrooms provide mini-fridges, and many have balconies; villas with kitchens are also available for large groups (and that’s when that grocery delivery really comes in hand). Caneel Bay Resort is a quiet, relaxing oasis for travelers, many of them couples. The resort, however, reserves specific accommodations and beaches for families with children under the age of 7. It also provides babysitting services, a kids’ club for ages 3 to 11 and infant amenities, such as baby tubs and monitors. Children under the age of 12 are permitted on all areas of the resort on select dates — usually around the winter holidays. Children over the age of 12 are permitted in all areas, at all times, and enjoy complimentary water sports, such as kayaking, snorkeling and paddleboarding. Other sports and excursions are available for additional fees.